A Digging Adventure with Dinosaurs! Dublin, Ireland – July 10th, 2014 – StoryToys, a leading publisher of 3D interactive books and games for children is proud to present Dino Dog – A Digging Adventure with Dinosaurs in association with Jason Tammemagi, renowned children’s media creator, and Thor Productions. Dino Dog is now available in the App Store for the iPad, iPhone and iPod Touch. 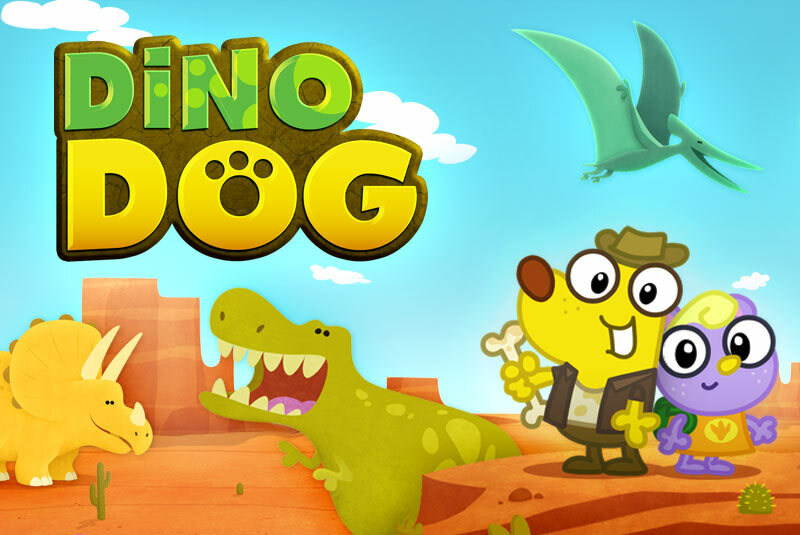 Designed for children aged 4-8, Dino Dog is a comical adventure story, fun digging game and animated cartoon all in one. Children join lovable Bonnie the Bear and Doug the Dog in their adventures as they travel the world in search of dinosaur bones. They explore deep underground finding fossils, cleaning bones and piecing them together to assemble whole dinosaurs before placing them in their very own museum. Through discovery and play Dino Dog sparks curiosity and exploration while also teaching children about dinosaurs and natural history with gentle humour and a charming visual style. It is available from July 10th on the App Store for iPhone, iPad and iPod touch at $2.99 / €2.99 / £1.99. Jason Tammemagi specialises in children’s media and is best known for writing, directing and producing preschool children’s television content including Fluffy Gardens, Planet Cosmo and Roobarb & Custard Too. His work has been sold to over 100 countries worldwide. Thor Productions is a developer of children’s apps and games. Dino Dog is the company’s first release.